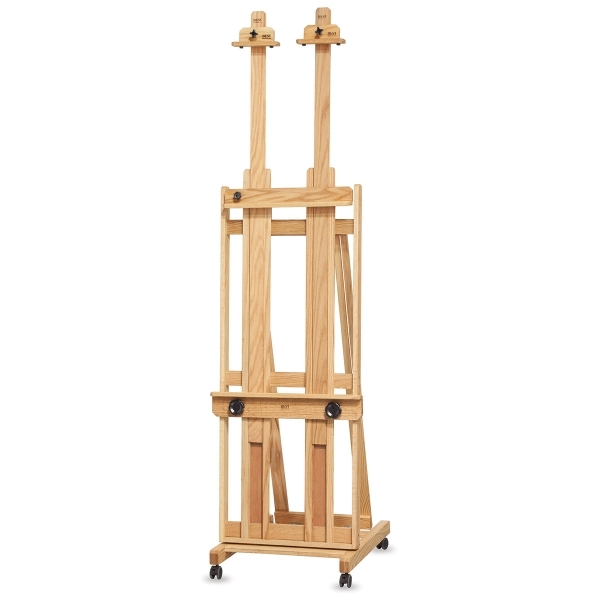 The Best Ultimate Easel is perfect for both large-format and smaller works. 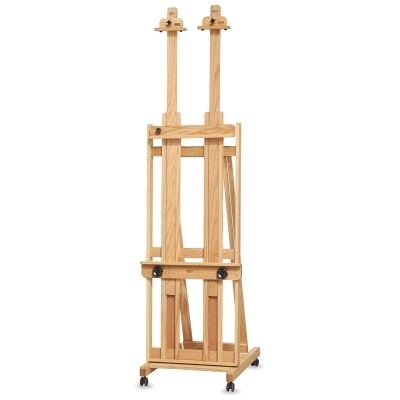 It's fully adjustable with a double-mast, H-frame design, which provides additional stability when working large. Four front-locking plastic casters add mobility. Made of durable oak. 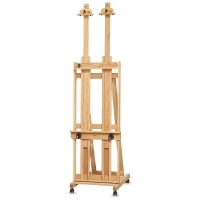 The Ultimate Easel is made in the USA and comes with a manufacturer's limited lifetime warranty. Some assembly is required. 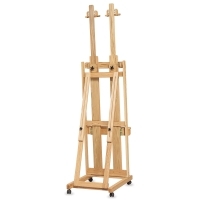 Base width x depth: 24" × 30"
Middle painting tray width: 22"
Bottom painting tray width: 26"